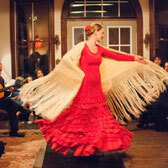 Dinner & Live Flamenco tickets giveway!!! Enter for your chance to win two tickets to Dinner & Live Flamenco Show on October 19th at Las Margaritas restaurant in Atlanta, GA. $30 value.The monthly Dinner and Live Flamenco Show will bring you straight to the heart of Seville, Spain. 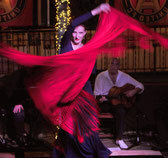 Spend your evening watching a live flamenco and flamenco fusion show while enjoying excellent Spanish and Latin American food, and sipping on sangría or Rioja. 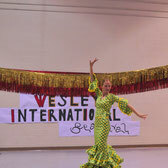 Watch a dynamic performance by renowned dancer Ania "La Candela", and feel the passion of this unique music and dance form. 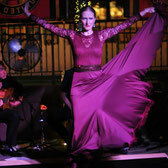 This is the only monthly live flamenco show in Atlanta! Click here for more info the show. Official Rules: Open to United States; 18 years of age and older. 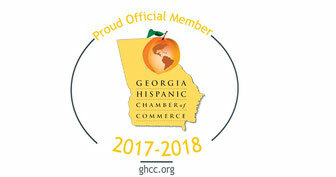 Begins on October 4, 2018 and ends on October 17, 2018 at 8 am. Drawing Date: after the giveaway is over. Upon winning, the winner will be notified via email used to enter the contest and needs to respond within 12 hours to confirm the prize or another winner will be drawn. Entry Limit: one per person + bonus entries. This promotion is in no way sponsored, endorsed or administered by, or associated with Facebook. You understand that you are providing your information to the owner of this Facebook page and not to Facebook.